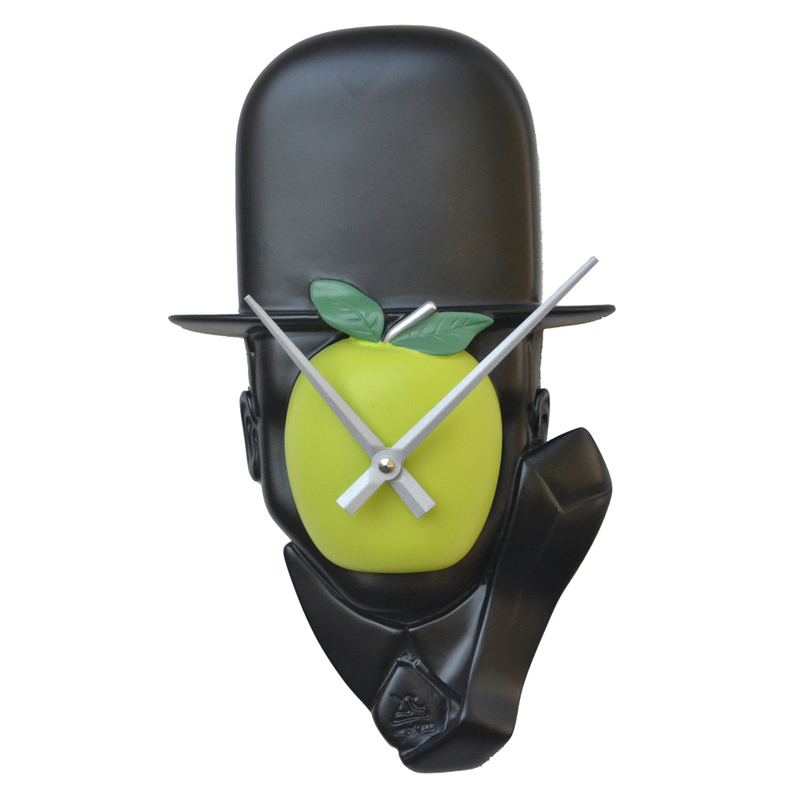 Described as a super likeness to the famous French artist Magritte's Son of Man, this wall clock is dominated by a glossy green apple against a black background. Would Magritte approve of something that is also practical? Either way it's an amusing piece for your home. A stunning clock inspired by Magritte's Son Of Man. Presented in a plain Antartidee box.